SpokAnarchy! – Where Were You In '82? SpokAnarchy! 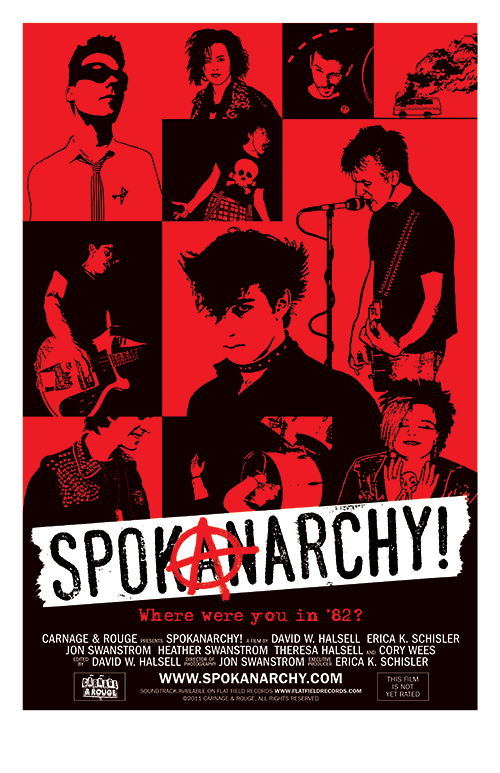 is a feature-length documentary that chronicles the manic highs and desperate lows in the emergence of the punk rock scene in culturally barren 1980s of Spokane, Washington. This coming-of-age story becomes a coming-of-middle-age story as the scene’s survivors take an unflinching look at their past, and how their lives were shaped by those years of music and mayhem. Aggressive and experimental music, art, and rebellion was the glue that brought them together, and some 30 odd years on still resonates. For some the results were devastating. Some went on to bigger and better things. But all carry with them the independent and creative DIY spirit that made SpokAnarchy! live up to its name. SpokAnarchy! premiered August 5, 2011 at the Garland Theater in SpokAne, WA to a sold-out house.